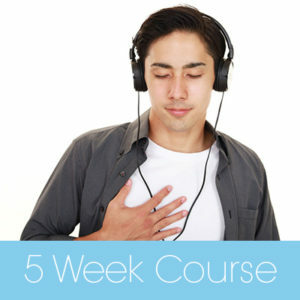 This 5 week online course offers an opportunity for in-depth self-exploration and breaking of old belief patterns. The focus of this course is to purify your energy from the unconscious beliefs and behaviour patterns that no longer serve you and to expand your consciousness. With Mada’s laser-sharp ability to identify the thread of repressed fears and belief patterns that overshadow your consciousness, and using advanced practical tools you will quickly clear the cob web of conflicting thoughts, emotions, and conditionings that have been blocking your inner knower and clouding your life. • Begin living your life in peace, creativity, and joy. How is the 5 Week course different from the 8 Week course? Both courses will help you heal the body, transform many layers of unconscious patterns, and expand your scope of vision. However, there are subtle differences between the two courses. In the 8 Week course we will focus on and work with clearing the unconscious thought patterns and emotions that are blocked in your body’s seven energy points (chakras). In the 5 Week course the focus will be more on working with the unconscious personality traits and behaviour patterns that you are identified with and have a hard time to let go of. Mada will look into your energy and will identify why you have not been able to let go of certain things and the lessons your soul needs to learn. You will also work with your ego-personality that is blocking your inner light of consciousness. Will I get to speak with Mada every week during the course? Yes. You will have a one-on-one time with Mada each week. You will also have an opportunity to ask Mada questions in the private blog related to what is coming up for you as you move through the process each week. What if I have questions during the week? There is a private blog, which is set up for the duration of the course. During the week you have an opportunity to ask Mada any questions that may arise from your weekly practice. You can also benefit by reading Mada’s answers to other participants questions. The blog is also an excellent opportunity to connect with other people and share experiences. At what time and day are the weekly calls held? The course is held every Sunday starting 11 am PST. The classes typically run between 2 and 4 hours (with a 30 minute break in between) depending on the number of participants and the amount of time that Mada takes to address each person. Absolutely! As a matter of fact, you will be encouraged to do so through a private group blog that will be set up for the duration of the course. The blog is an excellent opportunity to connect with other people, share experiences, and be encouraged by each other. How do I connect to the weekly call? Due to the individualized nature of this course the number of participants in the class is limited (between 25 to 30). Would I be getting the weekly recordings in case I miss a call? Yes. You will receive a downloadable recording of each class. Mada shares a lot of wisdom during the class and you may find it very helpful to listen to the recordings again after the weekly call.